• Prior to joining OGFRW, Andy was the principal of The Lustigman Firm, P.C. Andy represents marketers, advertisers, traditional and digital agencies and suppliers in connection with all legal aspects of their advertising and promotional marketing businesses. 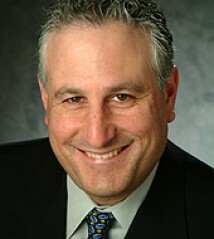 Using his extensive experience he counsels clients on a broad range of matters, including the clearance of advertising and marketing materials, the structuring of sweepstakes, games of skill, and other contests, the development of social media programs and direct marketing campaigns, and the resolution of regulatory, competitor, intellectual property and privacy matters. Andy regularly represents clients in advertising-related investigations and litigation brought by federal and state regulatory agencies, including the Federal Trade Commission, the Food and Drug Administration, Federal Communications Commission, the United States Postal Service, the United States Senate, state attorneys general and other governmental organizations. • Andy has been consistently named to the New York Super Lawyers list, a Thomson Reuters lawyer rating service, since 2008. Andy is regularly mentioned in legal and marketing publications, such as the National Law Journal, Law360, Mobile Marketer, Luxury Daily, and Response discussing important new cases and trends that advertisers and marketers need to know. He also contributes to the Promotion Marketing Association’s Promotion Marketing Law treatise and various American Bar Association publications, and frequently speaks on advertising and promotional marketing law topics throughout the country.